Improper disposal of unwanted and expired medicine can pose a significant danger to our Northern Michigan’s waters, community, and families. Fish can't say NO to drugs. For years, most people have flushed their unused medicines down the toilet or sink. After being flushed or poured down a drain, many medicines pass through sewer and septic systems. Sewage treatment plants and septic systems are not designed to treat all the substances contained in medications. Therefore, most of these chemicals pass through the treatment systems and accumulate in rivers, lakes, groundwater, and even our drinking water. 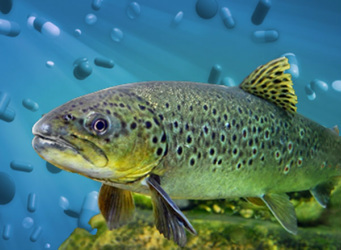 Pharmaceutical contaminants are a steady source of chemical exposure for aquatic species, and affect the quality of the waters we rely upon for drinking and look to for recreation. This can cause adverse effects in fish and other aquatic wildlife as well as unintentional human exposure to chemicals in the medications. Keeping prescription and over-the-counter medicines out of the environment is an important way to prevent pollution of our Northern Michigan waters and the Great Lakes. Over 80% of waterways tested in the United States show traces of common medications such as acetaminophen, hormones, blood pressure medicine, codeine, and antibiotics. Trace amounts of pharmaceutical drugs have been detected in the drinking water sources of an estimated 41 million Americans. Prescription drug abuse is the fastest growing drug problem in the United States. Twice as many Americans regularly abuse prescription drugs than the number of those who use cocaine, hallucinogens, heroin, and inhalants combined. Prescription drug abuse is second only to marijuana use. Every day, 2,500 teenagers use a prescription drug to get high, many for the first time. Over half of teens abusing medicines get them from a family member or friend, often without their knowledge. Disposing of medications safely helps prevent prescription drug abuse. Persons between the ages of 12 and 17 abuse prescription drugs more than cocaine, heroin, and methamphetamine combined. In Northern Michigan, treatments for illegally used prescription narcotics have risen from approximately 500 in 2003 to over 1,500 in 2010. Poisoning deaths, which include drug overdoses from prescription drugs, are the leading cause of injury death in the United States; nearly nine out of ten poisoning deaths are caused by drugs. 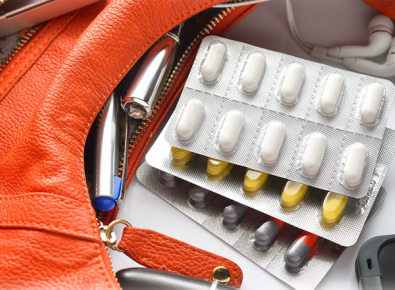 The risk of accidental poisonings can be increased by storing unwanted medicines in our homes or throwing unwanted medications into the trash. Even if you no longer have kids in your home and think this really doesn't apply to you, think again. Do your children or grandchildren visit your home or do you have a four-legged friend? Accidental overdose may even result from ingestion or misuse of commonly used medications like pain relievers and cold remedies. Each year there are thousands of calls to poison control and emergency rooms resulting from the unintended consequences associated with accidental poisonings. 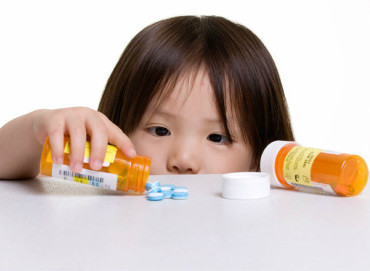 Proper disposal of medications can reduce the risk of accidental poisonings and protect children, the elderly, and pets. Each year more than 71,000 children ages 18 and younger are seen in emergency rooms for unintentional overdoses of prescription and over-the-counter drugs. Human medications are the leading cause of pet poisonings. In 2009, the ASPCA’s Animal Poison Control Center handled more than 46,000 cases in the U.S. of pets exposed to prescription and over-the-counter drugs. dispose of unwanted and expired medicines is the POD Program. Put Your Pills in the POD!